The Hanged Man – Suicide or Death? Cracking the court card code! The Wheel of Segais is a way to understand the cycle of all things be it a project, an intention, a goal, a life, a relationship, a business. All have their seasons. It is based on the innate order of all things, as the great wheel of the year spins and all things within the cycle have their place and can be used to highlight positive helpers and insights/answers to any question. It works with ‘guardians’, past lessons, present indicators, future possibilities and your own wisdom. It can be used on its own, or with a divination card (Tarot, Oracle, etc.) that can be drawn at the end of a reading for clarity. ‘It is my own creation,’ says Pamela Meekings-Stewart. ‘It came to me in a flash of inspiration (Awen) supported by over 20 years of study in Druidry, the Four Elements and Seasons and the 12 Archetypes or Wisdoms. I awoke one morning and in that magical time between sleeping and waking, all that knowledge and wisdom came together in a beautiful, simple image that I now call The Wheel of Segais or, sometimes, The Wheel of Inevitability! In May 2018, Pamela fulfilled a dream to visit the actual Well of Segais and the Pool of Segais in which the Salmon of Wisdom swims. In the photo above, she stands with the Wheel of Segais under a tree near the Pool of Segais in County Kildare, Ireland. If you only want to do readings for yourself, the Personal Reader Kit is what you need. It contains a copy of The Wheel of Segais for castings, nine hazelnuts, a Personal Reader Guide and a notebook and pen for jotting down the Wheel’s answers to your questions. Purchase the Kit directly from Pamela on this page of her Wheel of Segais website. If, further down the track, you decide to do the Reader Training Course, you’re well on your way, because the kit is an essential component of the course. In the first video, Pamela provides an overview of the seven sessions in the course which is designed for people who want to do readings for others. The second video contains extracts from the first session in the course. Pamela Meekings-Stewart was, for over 25 years, a film and television producer/director (documentaries and drama) at two major media organisations – Canadian Broadcasting Corporation, Toronto, and Television New Zealand, Wellington. 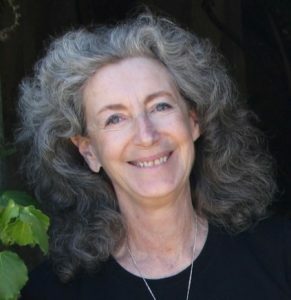 Since 1990 she has run her own company, The Woolshed Retreats, on her farm just outside Wellington, New Zealand where she offers spiritual retreats and Total Pampering Days; facilitates 4 Elements/4 Seasons workshops; provides one-on-one life coaching; teaches the healing discipline of shiatsu; is a marriage celebrant; and hosts both a monthly women’s Full Moon Circle (based on the 12 archetypes of the Goddess); and the 8 seasonal rituals for her OBOD Druid Grove – Grove of the Summer Stars. This is the essence of The Wheel of Segais. For more information, visit Pamela’s Wheel of Segais website. To commence the course, you need the recordings and a Personal Reader Kit which you can purchase directly from Pamela on this page of her Wheel of Segais website. Video recordings of the seven sessions are available as MP4 files. They can be viewed on PCs using Windows Media Player and on Macs using the pre-installed video player or the free VLC multimedia player for Mac operating systems which can be downloaded here. stored on a USB flash drive. Payment: online through PayPal using a credit or debit card. The good news is that you can save on international currency transfer fees by paying in $NZD. Email Pamela for $NZ prices and bank account details – pamela@thewoolshed.com. Linda Marson's unique guide to doing Tarot readings for yourself - 23 videos and eBook. "I highly recommend this program as a way to learn how Tarot can be a guide on your personal journey and a key to turn your daily life into a spiritual adventure," says Mary K. Greer. Download files or receive them on a USB flash drive. Click here for more information and to purchase. Subscribe to the Spiritual Studies and Travel newsletter and receive a FREE guide to your personality and soul cards determined by the numbers in your date of birth. Be the first to know about new classes and the latest tour information. Click here to sign up to the newsletter and receive your FREE guide to YOUR Tarot cards. Copyright © 2019 Global Spiritual Studies | Maintained by Linda Marson. The views expressed in material appearing on, or linked to, this site are not necessarily those of Global Spiritual Studies.